Paid apps on Google Play Store usually are better designed with better user experience.Lot of us would be willing to spend few dollars to buy some apps to gain better quality service.But if you dropped you primary Android phone and get a new Android devices,are you supposed to pay again for the paid apps if you want it on your new devices? Will you be able to move data from one account to another account? In most cases, it's not possible to move products from one Google Account to another. However, you can always add new products to an existing account. You may also find more information about moving data at dataliberation.org. You can move information from one account to another for the following products. For any other product, transferring product information is currently unavailable. This may change over time, so check back here for updates. You may find that sharing options listed below may be helpful as well. The following products have no data move functionality available, but may give some helpful tips on how to manually recreate your data between accounts. As we can see Google Play gets no data move functionality available. So it's not useful for you to simply copy the app data from one device to another.But don't worry,there is no need to search information on web,you know it suffers when face tons of words to tell.Google provides us a simple way to solve this issue,you don't have pay the purchased app again. There are two ways you can redownload the paid apps on your new Android devices.One is log in the Google Play Store with the account which you purchased apps and find "MY ANDROID APPS".There is a list of your purchased apps,you can download them to your new Android device without paying again. Aother way is that you can download from the Google Play Store on your Android device directly. The Google Play Store app comes pre-installed on supported Android devices running Android OS version 2.2 (Froyo) and above. You can find and open the Google Play Store app from your device’s app launcher. 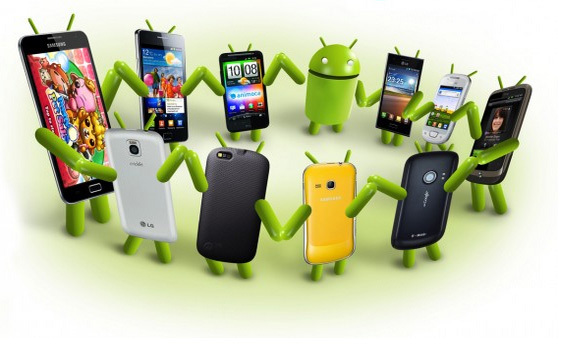 If your device is not supported,you can visit Android police for download ,which provides several versions.